Cape Town’s world-class conference venues are complemented by stunning natural and cultural tourist attractions. Cape Town is increasingly making its mark on the local and international conference scene with most of the top hotels in Cape Town provide conference facilities for their guests. 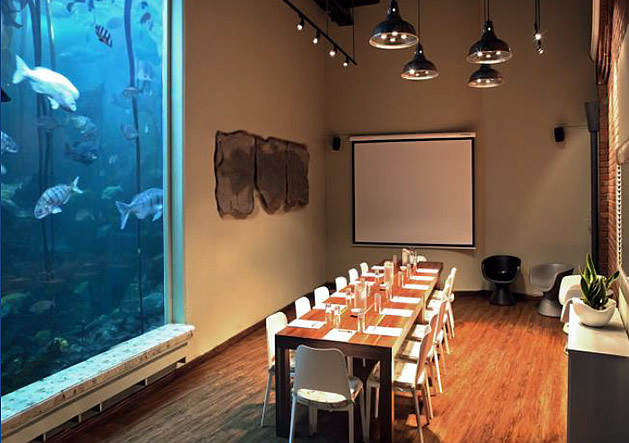 Other types of venues for hosting conferences in Cape Town, ranges from beach resorts to golfing estates, game reserves and conference centres. The conference venues in Cape Town are of a high standard, and many international conferences are hosted regularly in Cape Town. Traveling to and from Cape Town for conferences is convenient and safe with Cape Town International Airport, the second biggest airport in South Africa. The airport has been awarded Best Airport in Africa by Airports Council International in its global Service Quality survey for 2011/2012. Outside of conferencing, Cape Town has many fascinating historical landmarks and attractions that make the city of Cape Town one of the most popular destinations in the world. The city of Cape Town has several well-known natural features of which Table Mountain is likely the most well-known. Reaching the top of the mountain can be achieved either by hiking up, or by taking the Table Mountain Cableway. The beaches in Cape Town are also a key attraction; due to the city’s unique geography, it is possible to visit several different beaches in the same day, each with a different setting and atmosphere. Cape Town has several notable cultural attractions. The Victoria & Alfred Waterfront, built on top of part of the docks of the Port of Cape Town, is one of the city’s most visited tourist attraction. It is also one of the city’s most popular shopping venues, with several hundred shops and the Two Oceans Aquarium. The city of Cape Town encloses the 36 hectare Kirstenbosch National Botanical Garden that contains protected natural forest and fynbos along with a variety of animals and birds. There are over 7000 species in cultivation at Kirstenbosch, including many unique and threatened species of the Cape Floristic Region. In 2004, this Region, including Kirstenbosch, was declared a UNESCO World Heritage Site. State of the art facilities, easy parking, 1117 hotel rooms within walking distance and access to all the main highways makes The Pavilion Conference Centre the perfect choice for anyone wishing to take their conference experience to the next level. The Pavilion team offer clients one stop value added service by being able to organise accommodation, decor, security, transfers, exhibition stands, entertainment and specialised AV equipment to accompany any conference enquiry. Situated in one of South Africa’s top tourist destinations, surrounded with a backdrop of Table Mountain, The Pavilion Conference Centre and The Pavilion Clock Tower focuses on a “custom made conference experience” that combines a beautiful and flexible facility and service excellence. The Airport Conference Centre has four conference rooms that can accommodate between 6 – 80 delegates. These rooms vary from executive boardrooms to spacious conference/ training facilities. Conveniently located, the Airport Conference Centre is situated in the Southern Office Block alongside the Domestic Terminal (Terminal 5) at Cape Town International Airport. Conveniently situated in the heart of the Victoria & Alfred Waterfront, Atlantic Imbizo Conference and Function Studios is a fully equipped business and social centre. The venue features variable furnishing configurations, all of the standard audio visual aids including digital projectors, secretarial services, adjustable lighting and exclusive in-house catering by their own Chefs who offer you personalised menus to suit your catering requirements. They offer Corporate (National and International) tailor-made Conference Packages and specialise in full and half day conferences, Cocktail Parties, Seminars, Training, Product or Media Launches Year-end Functions, Corporate Dinners or Celebrations, Weddings, 21st Birthdays and Theme Parties. The four star St Georges Hotel is superbly situated for easy access to many of the city’s top tourist attractions, within walking distance to Parliament and a five minute’s drive from the V & A Waterfront. Each of the 139 bedrooms is elegantly appointed offering the best in relaxed comfort. The hotel offers conference facilities for up to 200 delegates and is an ideal choice for business and leisure visits alike. For our business visitors, we have various conference facilities available (from 10 to 200 delegates) with a range of state-of the-art audio visual equipment. Among hotels in South Africa, the Radisson Blu Hotel Waterfront offers some of the most ideal meetings and events facilities in Cape Town. The Radisson Blu Hotel Waterfront is the ultimate professional partner to ensure successful business meetings and memorable events. Fully compatible with today’s dynamic business needs, this hotel offers two air-conditioned conference rooms (Granger I and II) with the latest audio-visual and technical equipment, with world-class catering. Each room has a maximum capacity for up to 70 guests and the rooms may be combined for larger groups. The hotel features three banquet rooms designed to accommodate small to large business and social events. A professional Meetings & Events Coordinator is available to ensure the success of meetings and events at this Cape Town Resort. Customised proposals are prepared based on each event to ensure 100% guest satisfaction. This exquisite Cape Milner offers modern conference facilities with a stylish and contemporary ambiance. Boasting no less than four modern, eclectic styled conference rooms, The Cape Milner offers fully adjustable layouts, tailor-made for Conferences, Banquets, Presentations, Cocktail parties, Lunch and dinner parties, weddings and product launches. Accommodating all tastes, conferences delegates can look forward to an array of both local and international cuisine with impeccable service to match. Set against the breathtaking backdrop of South Africa’s beautiful Mother City, the Fountains Hotel offers world-class conferencing facilities. No matter how large or small a conference you are planning, their friendly and competent staff members can arrange different rooms and set-ups to comfortably accommodate from between 20 up to 250 delegates in a U-shape, school room or cinema style format. Alternatively, smaller conferences and business meetings can take place in the intimate setting of the Fountains Apartments, which can be especially set-up as breakaway rooms if necessary. The Fountains Hotel has all the standard equipment that you would require during the conference, including overhead projectors. The Westin Cape Town is an unparalleled meetings, conference, and banqueting venue. 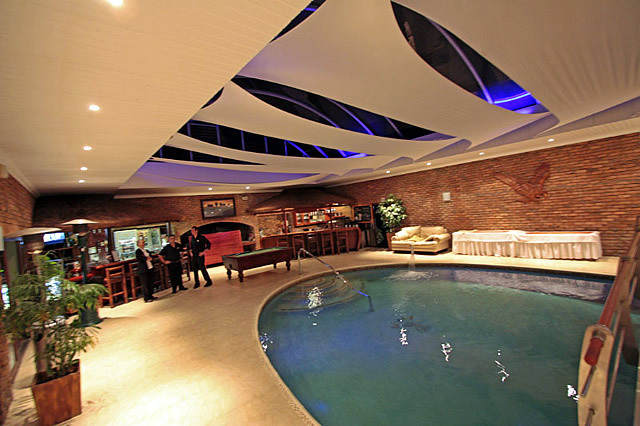 They offer some of the largest and most sophisticated hotel conference and banqueting facilities in the city, as well as a direct connection to the Cape Town International Convention Centre. With the infrastructure to support events of just about any size or description, the hotel boasts superb conference facilities, with 12 individual venues accommodating from 12 to 600 delegates. The conference facilities are supported by sophisticated communications technology, including IT hotspots on each level offering wireless connection for laptops. Business booths are available with High Speed Internet Access and international plugs. These are just a small selection of the conference venues in Cape Town and you will easily find many more quality venues. The Westin Cape town is one of Cape Town’s premier conference venues, boasting panoramic views of Cape Town’s Table Mountain, Table Bay and the V&A Waterfront. Unmatched accommodation, dynamic dining venues and stylish conference facilities will ensure that your meeting, function or conference will be a memorable success. 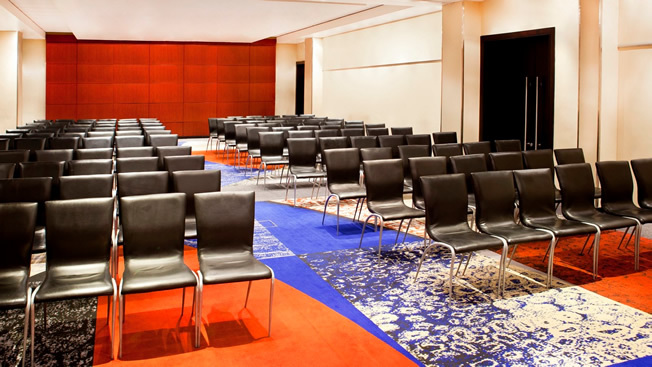 The Westin Cape Town’s conference venues are ideally suited for meetings, conferences and functions in Cape Town. 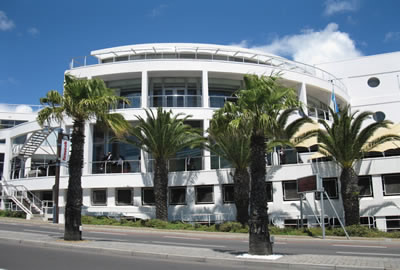 The venue offers some of the most modern conference and banqueting facilities in the city and has a direct connection to the Cape Town International Convention Centre. Twelfth individual venues accommodating from 12 to 600 delegates, ensure that this venue can accommodate events of just about any size. In addition to the superb conference facilities, The Westin Cape Town provide secure underground parking and easy access for tour buses. Self selector menu options and a choice of state-of-the-art conference and audio-visual equipment and lighting and staging options make The Westin extremely versatile as a conference venue. The conference facilities are supported by modern communications technology, including IT hotspots on each level offering wireless connection for laptops. Business booths are available with High Speed Internet Access and international plugs. Some of the standard conferencing equipment offered at the venue includes all the essentials such as data projectors, overhead projectors, white screens, plasma screens, and sound equipment. All conference rooms are remote-controlled allowing control over light level, closing and opening of shades, room temperature, and the audio-visual equipment. The main ballroom features sockets in the ceiling adjacent to the prop rails linking to an audio-visual room for stage lighting operations. This space can accommodate 600 delegates making it perfect as a main plenary room for congresses or conferences. The flexibility of the space also makes it suitable for gala dinners and other formal functions. A spacious lobby leading into the main ballroom serves well as a pre-function venue, ideal for pre-dinner drinks, conference registration and lunches, art exhibitions, and congress exhibitions. There are two boardrooms on the Mezzanine floor. The boardrooms have floor-to-ceiling windows, offering natural lighting and breath-taking views. All the conference rooms feature luxurious furnishings and videoconferencing facilities. The Westin provides more than enough accommodation for conferences with 483 rooms and suites. The style and decor of the rooms are uniquely South African, with Afro-chic interiors, panoramic views, and a large collection of local artworks. At The Westin Cape Town’s Arabella Spa, visitors can enjoy personalised treatments. Refresh with a swim in the indoor infinity pool or recharge at the venue’s state-of-the-art gym. A fully-equipped business hub allows guests to finish any last-minute tasks, and internet connection throughout the venue ensures guests are always connected. The complimentary shuttle service to the V&A Waterfront, keep guests in close contact with shopping, entertainment venues, and restaurants.